The AirSep FreeStyle 5 Accessory Bag is the perfect accesory to help keep you organized and ready to go. This ultimate carry-all bag has more than enough room to hold your AirSep FreeStyle 5, all of its accessories, and some of your personal belongings. The bag is similar to a duffle bag and has two handle straps, a shoulder strap, and it zips shut to secure your belongings. 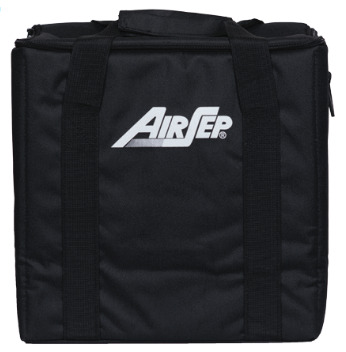 One of the best features of the AirSep FreeStyle 5 Accessory Bag is that it has a compartmentalized interior. The dividers can be moved and manipulated to have the layout you want, however, the standard layout gives you special compartments for each accessory, your concentrator, and more!